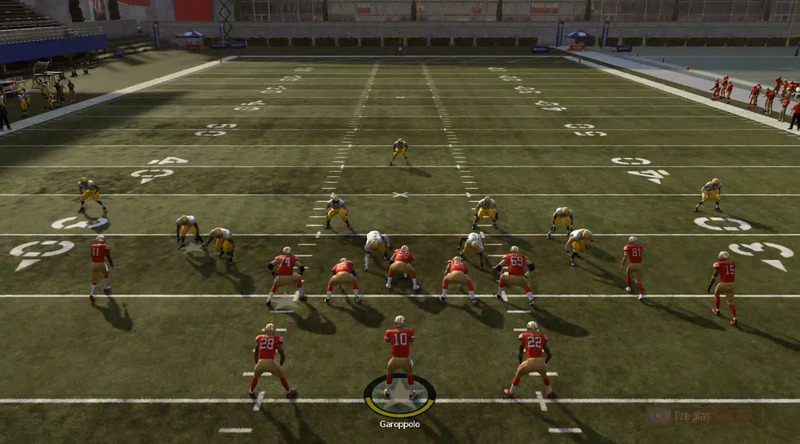 Madden 19 is out now which means that you might find yourself going up against offenses you don’t know how to defend and blitzes that you don’t know how to block. We asked our friends at Madden School to give us some of their favorite Madden 19 tips. Here is what they recommended. The key to this play is the 2 outside receivers running the crossing routes paired with the Y/triangle receiver on a deep out route. At least one of the two deep crossing routes will get open against every coverage in Madden 19. The running game, especially on All-Madden difficulty level, is harder than ever but there are still a few go to run plays that you can use to scare your opponents. Gun Trey – Inside Zone can be found in the Arizona Cardinals playbook and it is incredibly hard to stop. Make sure to mix it in with some of the great passing plays from this formation as well! If you can force a couple turnovers in a game, your chances of winning go up significantly. The best way to force a turnover is to force your opponent into making quick or sloppy reads. Finding a good blitz scheme in Madden 19 can instantly set you apart from the competition. The 3-4 Under formation as some versatility and you can always drop into a max coverage defense from the same look. Those are just a few money plays to get you started in Madden 19. We’ll be back with more tips soon!